At the death of Genghis Khan (1227) the Mongol empire created by him, which included the territory of present day Kazakhstan, was divided into four khanates, the number of the children of the great emperor. 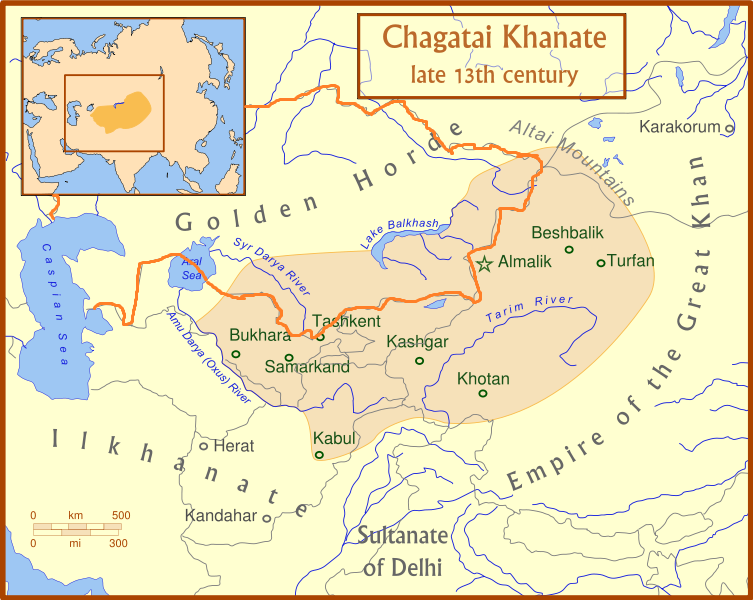 The whole of the northern flank of modern Kazakhstan, at the time half desert, became part of the khanate of the Golden Horde, while the southern flank, where the ancient Kazakh cities of Taraz, Turkestan and Shymkent were to be found, became part of the Chagatai khanate, named thus after the second son of the late emperor to which central Asia had been assigned, including that territory. This geopolitical situation remained substantially unaltered during the following decades and throughout the whole of Dante’s life. 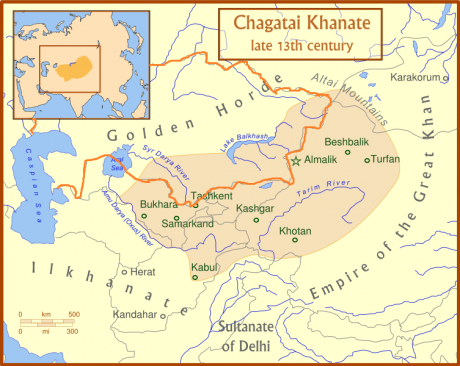 At that time the citty of Almaty (or Alma-Ata, the future historic capital of Kazakhstan) did not exist, but the capital of the Chagatai khanate was then the city of Almalik, located about three hundred kilometres to the east of modern Almaty. At all events, both the ancient city of Almalik and the present day city of Almaty derive their names from the kazakh word alma which means apple thanks to the abundance of apple trees which are typical of their geographical area. Today Almalik is a tiny town on Chinese territory (in the Xinjiang region) hard by the Kazakh border and in a province recognised as an “Autonomous Kazakh Prefecture” in the Republic of China. 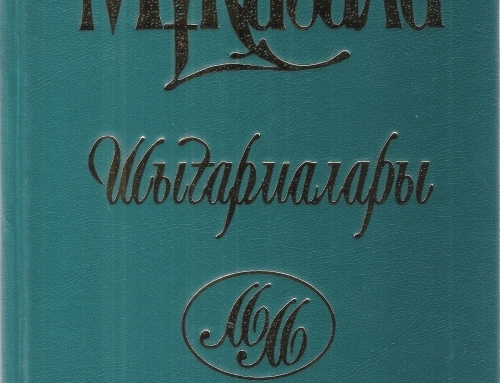 The Kazakh language is one of Turkic stock as are other central Asian languages spoken in the area bordering Kazakhstan (to the south and east) and which in the XIII and XIV centuries were part of the Chagatai khanate: Kirghiz, Uzbek and Uyghur, the latter being spoken in the territories which formed the eastern part of that khanate and which today belong to Chinese Xinjiang. We can place beside these languages Tatar, also of Turkic origin, the official language of Tatarstan (one of the republics of the Russian Federation) which nevertheless has a good number of speakers in Kazakhstan and Chinese Xinjiang. Dante could not have had much precise information about central Asia in his day and, in particular, about territories and peoples dominated by the descendants of Genghis Khan, lords of the Chagatai khanate. But Dante well knew that from those distant lands, via the Silk Road, Florentine merchants imported into Europe precious multicoloured cloths which were greatly appreciated by rich westerners. And he well knew that those heirs of the Mongol emperor – which our poet referred to generically as “Tartars” – at that time dominated even the Chinese who were the principal artisans of those cloths. All the more because in 1274 (Dante was just nine years) Marco Polo had visited and described the city of Kashgar, an important place for buying silk, which was at that time incorporated in the Chagatai khanate and which today is a part of Chinese Xinjiang. On this subject see Lingue e Dialetti / Cinese / Introduction. 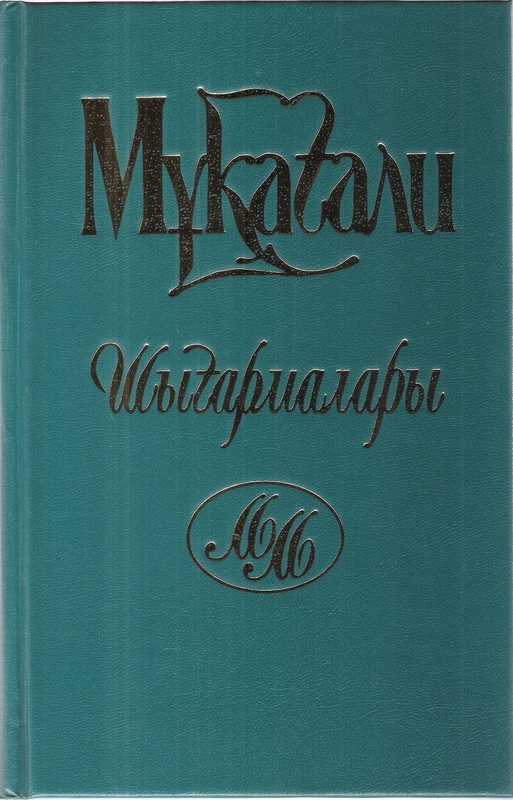 The Divine Comedy has been translated in 1971 into the Kazakh language by Mukagali Makatayev, one of the principal poets in Kazakhstan. 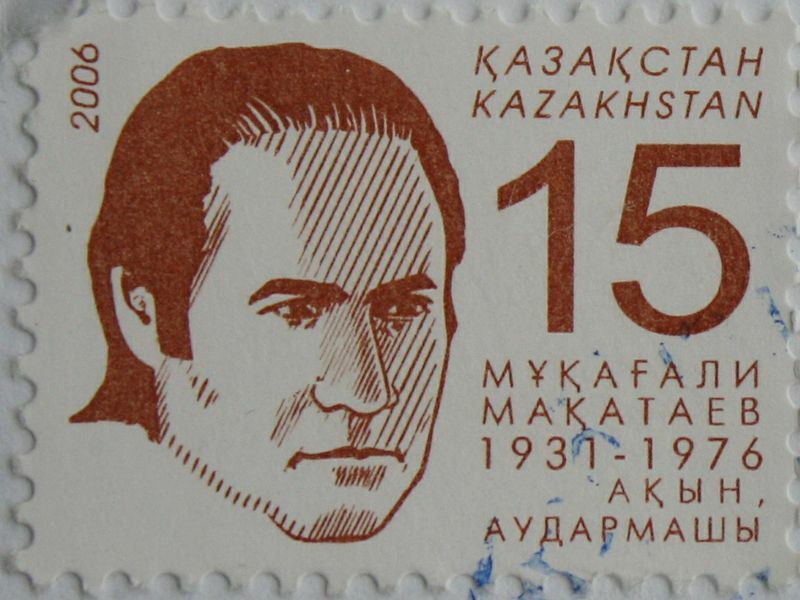 Born in the village of Karasaz in the far eastern edge of the Almaty region on 9 February 1931, Makatayev studied at Moscow and Almaty where he died at the age of only 45 in 1976. Apart from Dante, he translated into Kazakh various Russian classics, the poetry of Walt Whitman and the sonnets of Shakespeare. 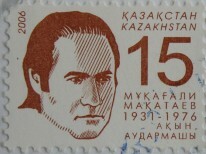 A large part of his poetic output was published posthumously. 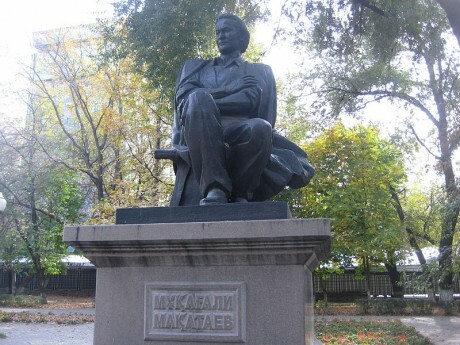 Even recognition has been posthumous: in 2002 the city of Almaty dedicated a monument to him.